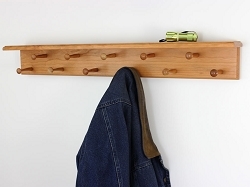 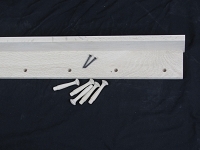 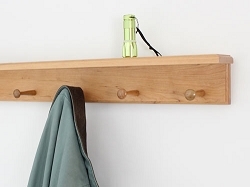 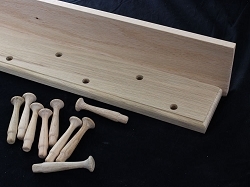 Shaker Style Peg Racks With A 4 Inch Top Shelf - Made In The USA. 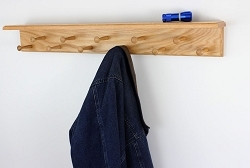 Solid Hardwood construction in Oak, Maple, Cherry and Poplar. 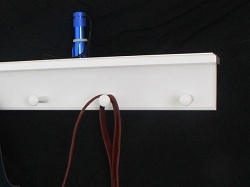 What could you use a shelf for? 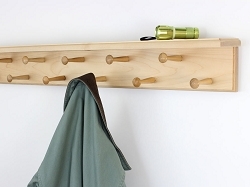 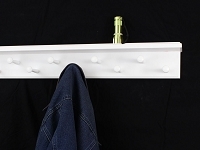 Our Shaker peg racks with the top shelf have been a customer favorite since their introduction. 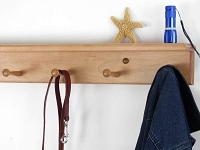 These extremely handy 4 inch wide top shelves offer the perfect solution for busy individuals that just need a small shelf to keep the items that need to go with them handy. 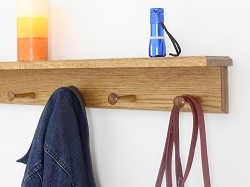 The shelf is a perfect place to keep gloves, cell phone and a great place to put your kids items so they're ready for school in the morning.